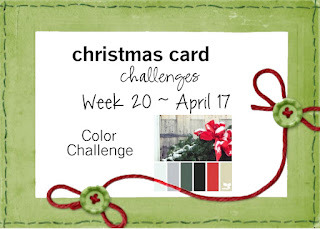 It's a color challenge this week at Christmas Card Challenges. I fudged a bit as I used a patterned paper from the Adventure Bound Designer Series Paper Stack. I used some Picket Fence Distress Paint to add some snow to the pine needles. The card base is Whisper White as is the label that I punched out using the Decorative Label Punch. I stamped the sentiment from the Good Greetings stamp set using Real Red ink. 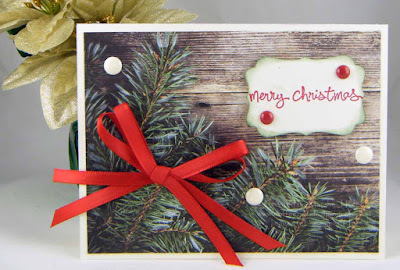 A red bow and some Home for Christmas Enamel Dots and the card was done.